A slanderous ad in The New York Times accusing John Kerry of anti-Semitism could only have drawn its inspiration from the PR skills of Joseph Goebbels. Boteach leveled his slanderous charges against Secretary Kerry because Kerry said that Palestinian violence was caused, at least in part, by Palestinian frustration over massive increases in Israeli settlement expansion that threaten to defeat the Oslo agreement’s goal of a two-state peace accord. For Boteach, that is an unforgivable moral equivalence of Palestinian terrorism and Israel’s defensive measures. According to the daily Haaretz and B’Tselem, a leading Israeli NGO, these measures now include extrajudicial executions of Palestinians who were not a threat to anyone. There can be no moral equivalence between the violence of a powerful occupier and the violence of its powerless victim. Boteach also charged that Kerry echoed a “virulent anti-Semitic libel” in saying the settlements risk turning Israel into an apartheid state. 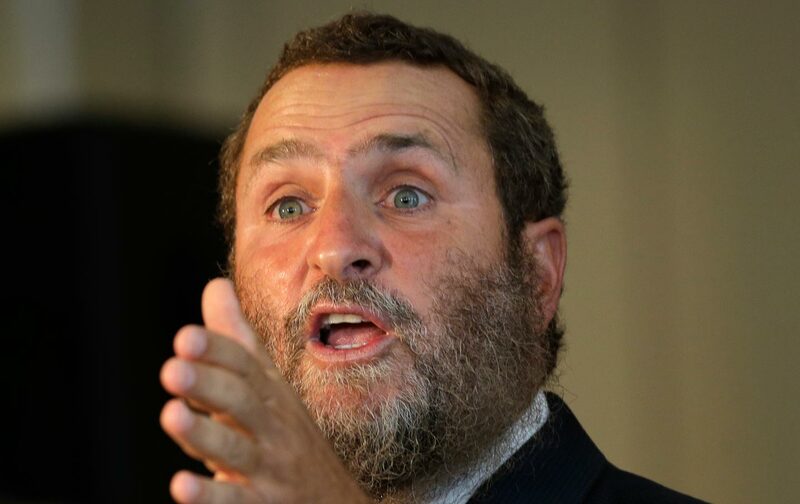 Boteach fails to mention that this is a danger warned against by such well-known anti-Semites as David Ben-Gurion, Ariel Sharon, Ehud Barak, Ehud Olmert, and Shimon Peres, all previous Israeli prime ministers. Actually, the suggestion that both sides are equally at fault is a false moral equation, but only because there can be no moral equivalence between the violence of a powerful occupier and the violence of its powerless victim. As pointed out by the Haaretz columnist Amira Hass, Palestinians are fighting for their lives and their continued existence as a nation, while Israel is fighting for its occupation. Not surprisingly, Netanyahu has tried to exploit the brutal ISIS-sponsored executions in Paris to justify Israeli behavior toward Palestinians in the occupied territories and in East Jerusalem. But there is no comparing the situation in France—a country that is not keeping Arabs imprisoned behind separation walls, roadblocks, and dehumanizing checkpoints—and Israel. Palestinians, who have had Israeli boots planted on their throats for nearly half a century, are striking out at their occupiers. Israelis say they only ask to be left in peace, so that they can keep their boots where they are. As Bibi Netanyahu has often insisted, no one wants peace more than Israelis do. Successive Israeli governments have sustained a half-century-long occupation of the Palestinians through the application of deadly violence by its military. What right do they therefore have to demand that Palestinians forgo violence in their struggle to end their suppression? Is the Palestinians’ resort to violence to achieve freedom and self-determination—considered “peremptory norms” in international law—less legitimate than Israel’s resort to violence to deny them their freedom and self-determination? In fact, no one has asserted the right to violent resistance to occupation more forcefully than the Jewish terrorist groups in the pre-state era. The Irgun, headed by Menachem Begin (which became the Likud, now headed by Netanyahu), terrorized the pre-state British occupiers. Yitzhak Shamir, who was also elected prime minister of Israel, headed the Stern Gang. He wrote in the journal of his terrorist organization, LEHI, “Neither Jewish ethics nor Jewish tradition can disqualify terrorism as a means of combat.… Terrorism is for us a part of the political battle being conducted under the present circumstances and it has a great part to play.” As documented by Benny Morris in his book Righteous Victims, Jewish terrorism targeted Arab civilians. Boteach argues that there cannot be moral equivalence between victims and their oppressors, but he, like his patron, believes Palestinians who have lived for half a century under Israel’s occupation are the oppressors and their Israeli occupiers are their victims. As someone who was born in Germany and lived for two years under Nazi occupation and the Vichy regime that rounded up Jews for deportation to Auschwitz, I can assure Boteach, and Prime Minister Netanyahu, that their perspective is one that Goebbels, who considered the German people to have been the victims of the Jews, would have greatly admired. Henry SiegmanHenry Siegman is President Emeritus of the U.S./Middle East Project and a past senior fellow at the Council on Foreign Relations. He formerly headed the American Jewish Congress and the Synagogue Council of America.